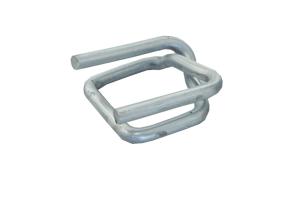 Melbourne Packaging Supplies stock heavy duty galvanised buckles from Germany for composite strapping. They provide reliable strength and take minimal damage from prolonged exposure to the elements. Composite strap can also be re-tensioned using these buckles provide adequate excess strap is leftover. Its great for timber goods that have been dried and have expanded or contracted in the weather.